新年快乐 ~ HAPPY NEW YEAR, MY FRIENDS! 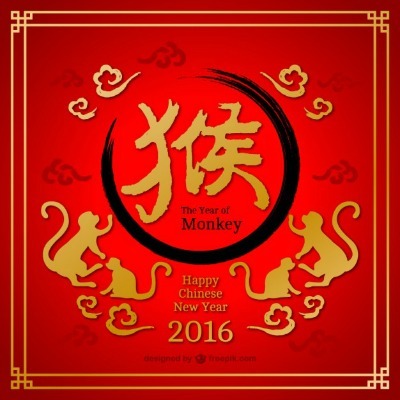 Let these Chinese New Year festivities bring you lots of health, wealth and success in the Year of the Monkey! We are celebrating our second Chinese New Year since our e-zine started and this time I wish you a fiery, prosperous one - may your dreams come true, your projects thrive and may you reach peaks of joy and fulfillment together with your friends, your colleagues and especially your loved ones! We are now beginning a series of lessons on this topic, please find the introductory lesson on the Phrasal Verbs page. This is not the easiest of grammar matters, but once you master the use of phrasal verbs in English you'll be able to enjoy the awe and admiration of your colleagues still struggling to learn them. As part of our new angle on the use of image in writing, today we have a very elegant example of the third basic type of image a writer can use - the Transforming image. Please find this on the The Transforming Image page. We shall continue to look into the details of various other types of images a writer can use, depending on his/her style and chosen genre. Hello again my friends, let us continue our sessions on travelling and using our English in the process, a matter in which quite a few of you expressed an interest at the time of joining My English Club. b) you may be the guest in a foreign country where they either speak English or both sides choose to communicate in English, as neither of you can speak the other one’s language – for example you’re from Vietnam and you are visiting Norway. Today we shall look at topics you may wish to address for situation (a) above – you are the host/ess for an English speaking guest. Imagine I am your guest and I am considering visiting you and your family for a short holiday, say 2 weeks to a month. First of all, even before I set off from London, what do you think would be really nice to receive from you? Some preliminary information would be nice, about your country and your city/village, telling me why it would be worthwhile me spending my annual break over there and not somewhere else in the world. As part of this inviting info pack, you would likely include some ideas about when during the year would be best for me to visit. For example your climate allows for more pleasant vacations in certain seasons and some awful experiences in other seasons (for example the monsoon season in Nepal). You would also tell me how safe it is to travel to your country or region and the kind of activities I should expect at the recommended time of the year. Probably if you had some visitors travelling with their families, you could tell them about activities suitable for children, some for adults and also for the elderly if that applies. OK, so now I’m convinced and eager to go. At this point you would inform me about how to arrive to you and perhaps you would expand on some awesome itineraries to explore together while I’m in your area. You would describe the mountains and valleys in your country, or the seaside and beaches, if those are your tourism attractions. If you have national parks or even world heritage sites, this would be your occasion to bring these to my attention. On arrival you would welcome me and introduce me to your family, friends and other colleagues you would deem appropriate. You would make sure I am clear about my surroundings and introduce any local customs unknown to me and you would invite me to take a recuperative rest after my flight to recharge my batteries for the schedule you’ve prepared for me (or indeed for your guests). Now assuming I have rested enough, maybe it is my first morning of a full day in your country and we are both excited to start our adventures together. How would you surprise me? What’s there to do? This may seem as a lot for you to manage all in English and... it is! There is so much vocabulary you can contain in these topics that you really need to prepare your words and meanings in advance and practise before any big event like a foreign visit/delegation. I suggest we take these topics one by one and work together on ways to express your ideas in our future lessons. OK, but until then, here is a little quiz for you on the Festivals around the world website. This is suitable for children, so beginners of English will also find it easy. You have the option of one or two players for this quiz. Enjoy! Oh, no! Let me puzzle you with another game based on the Monkey Year 2016. I wonder who knows the most about monkeys. Check your facts on this Quiz about monkeys . Now enjoy! 新年快乐 = HAPPY NEW YEAR!! !